The New Orleans Saints have reached an agreement on a four-year contract with running back Mark Ingram, who finished the 2014 season as the team's leading rusher. Ingram, one of two 2011 first-round draft picks of the Saints, was set to hit the open market, with free agency officially getting underway on Tuesday, March 10. 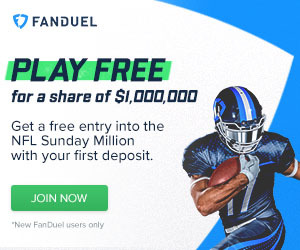 However, the club will keep hold of the former Heisman trophy winner, whose new deal is worth $16 million over the course of the four years. The move to retain Ingram comes just days after the team announced that it was parting ways with long-serving veteran RB Pierre Thomas. Had the Saints let Ingram get away, a gaping hole would have existed at the position with just Khiry Robinson, Travaris Cadet and Edwin Baker under contract. Instead, Ingram, who rushed for a career-high 964 yards and 9 touchdowns on 226 carries last season, will return to form a formidable 1-2 punch with Robinson, while Cadet can help fill Thomas' shoes in the passing game. Still just 25, Ingram is one of the better backs in the league, and has fresh legs, having spent the vast majority of his first four pro seasons as part of a committee in the New Orleans backfield. Ingram's emergence began late in the 2013 season and postseason, and the former Alabama star carried that production into 2014 as the team's lead back before an early-season hand injury sidelined him for 3 games. Despite that ailment, he did not miss a beat and proved to be the team's most effective backfield option, showing improved vision, decision making and vertical elusiveness as his workload expanded. 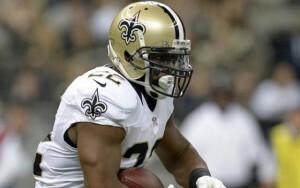 Saints RB Mark Ingram looks for room to run during the 2014 season. Owners of one of the league's most tenuous salary cap situations with free agency just on the horizon, New Orleans manages to keep hold of a key piece of their offensive system at a reasonable rate. The team has been already restructured the deals of WR Marques Colston and DT Brodrick Bunkley, while also converting S Jairus Byrd's $6 million roster bonus into a signing bonus, a move which saves up to $4.8 million in cap space. Similar moves, including possible cuts and/or trades, are likely to come between now and next week as the franchise looks to maximize any and all cap space ahead of the start of free agency. For his career, Ingram has tallied 2,426 yards (4.25 ypc) and 20 rushing touchdowns in 50 career regular-season games, while recording 53 career receptions for 288 yards.